A well-formatted resume is not only making you feel more confident and smart, it is more likely to be read completely and is more likely to lead to an interview. Our resume format tips give you a good understanding how to create a truly remarkable resume from a layout point of view. First, you need to write and save your resume in a plain text. Now, this is a good time to use a resume maker to make your job application stand out from the crowd. When looking for a resume example to build your own document, look for samples that have legible formatting, uncomplicated headings, and a sensible use of space that breaks up the content and makes your resume easy on the eyes. It is a common recommendation to make sure your resume fits on one side of a standard size page, most often letter-sized. But this approach only works if you have had little work experience, for example, one or two jobs after leaving school. For the rest of us, fitting our job experience, education, skills and various achievements into such a small space is not likely to be realistic unless you use a resume maker which makes the best use of empty space around the main sections of the document. So you will most likely keep your resume to two letter-size pages and three at very rare occasions. This doesn’t mean you need to squeeze a lot of information into a page by reducing font size, space, page margins, or by using small paragraphs. HR professionals consider this a bad tactic because it means more strain to their eyes. Instead, they recommend that you shorten sentences and use active voice which is more concise than passive voice. 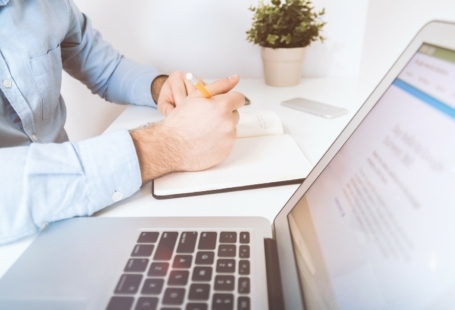 Use bullet points generously — this is a good way to make sure that your resume flows naturally and allows HR manager to skim over the important bits. The recommended quantity of bullet points per each job experience is 3-5. Conventional font styles are the best choice for your professional resume format. Times New Roman, Arial or Calibri are all good. By all means, avoid “fun” fonts such as Comic Sans or decorative fonts. Use no more than 3 font sizes across your entire resume. Your name at the top can be the largest font size, for example, 16 pt. Each job title should go for 14 pt and achievements or smaller detail should be sized at 12 pt. Do not go with font less than 11 pt. Also, make sure to use bolding where appropriate to draw focus to important details. As for the spacing, aim at 1.2 or 1.5 lines so that your resume doesn’t look “padded”, especially if you are a recent graduate. … Or you may just trust the online resume builder of your choice to make a proper font suggestion. 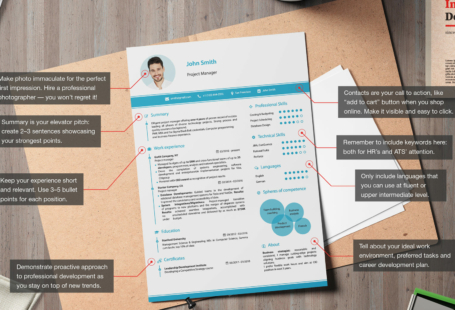 A typical resume layout begins with your contact details and then proceeds to your summary. Depending on your work history you can list your job experiences in a reverse-chronological format, starting with your most recent job or you may group your jobs depending on the relevance to the job advertisement. Following the job experience, there’s a section on your educational background. Here you can list any professional courses and training you have undertaken, following with university or college details. The perfect example should contain as much information as you can fit into a 2-page package. All of this info must relate directly to the job you are applying so leave out things like hobbies, interests and unrelated experience. This will keep your resume example from looking overwhelming as if you are trying too much. 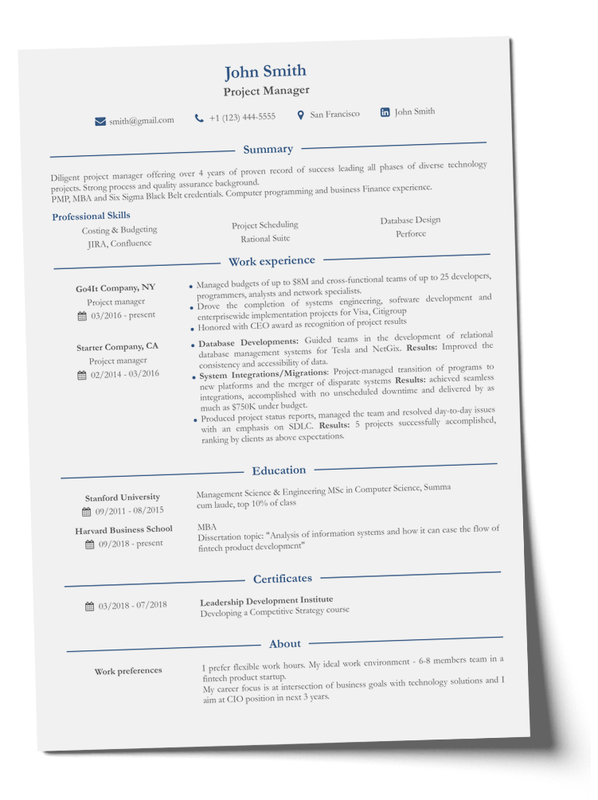 Here you can find a clear and logical resume layout which demonstrates that it is very important to optimize for both function and style. When your potential employers start combing through their piles of resumes, having an eye-catching resume with our resume format tips can mean the difference between getting an interview or getting lost in the pile of “thank you but no thanks”.